More Photos With not only the beach at your door step - centrally located the property is a short distance to near by shops and restaurants. Nobbys beach shops are only a short walk together with the Nobbys beach Surf Club ... a short stroll away. Other facilities close by include: Pacific Fair Shopping Centre approx 7 mins drive away. Surfers Paradise CBD 10 mins drive away and the Broadbeach restaurant stip. 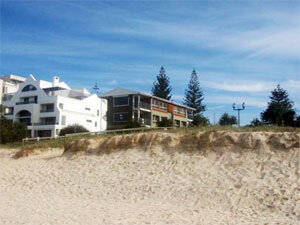 Mermaid Beach is situated within an area of numerous parks for children to play in and walking trails/paths. This area boasts some of the best community and family lifestyle on the Gold Coast, the relaxed casual culture in Mermaid Beach never disappoints being the Gold Coasts premier beach front location.